YUP. Goat Soap! Made using milk from our herd of goats. What scents do you have? Our KISS bar is the foundation of all our soap, the name stands for ‘Keep It Simple Soap’, we set out to produce a basic unsented bar with the least possible number of ingrediants to make it perfect for sensitive skin that said we also have two further natural scents at the moment, check out our shop to see all of our available stock! Why Does my soap go soft? 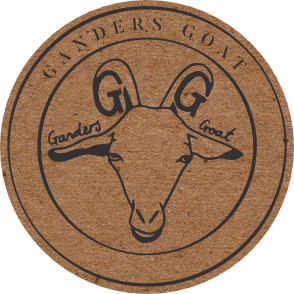 Our goat milk soap is free from palm oil, hardeners, and preservatives, this is what makes our soap special! It does mean it can go soft if not allowed to dry out fully between uses, our favorite way is to get a nail brush and up turn it so all the bristles are in the air like a hedgehog, sit the soap on the bristles to let the air get all round it, plus next time you come to use the nail brush its all ready got some soap on it ready to use! We have 2 delivery options both using Royal Mail. 1st class is £6, 2nd class is £3.30 no matter how much you order. We are in Cottingham a small village between Corby and Market Harborough on the Northamptonshire/Rutland Boarder. We are local can we collect? Certainly, we do farmers markets across the local area where you can pop along and collect in person, just visit the events page to find where we are. Alternatively you can collect direct from the farm but we’re not always there so please use the contact page to arrange a convenient time. We are not an open farm, but we are looking in to doing experience days and Open Farm Sunday in the near future. Do you sell wholesale or bulk? Yes, we do have a number of people who buy from us at wholesale, if you are interested in stocking our product please contact us to arrange a meeting or find out more. Yes, in fact we have sent to USA, Canada, Africa and across Europe. Due to the wide variety in delivery costs we find it easier to calculate shipping on a case by case approach, just decide what you would like and let us know via the contact form and we’ll do the calculations and send you a online invoice.